Today's vote at UNESCO, granting full membership of the UN body to the Palestinians, marks a symbolic victory for one of the world's longest-suffering peoples, but also a new low (if such a thing can be imagined) in US diplomacy's always-creative relationship with the English language. Today’s vote at UNESCO, granting full membership of the UN body to the Palestinians, marks a symbolic victory for one of the world’s longest-suffering peoples, but also a new low (if such a thing can be imagined) in US diplomacy’s always-creative relationship with the English language. Indeed, the Orwellian triangulations of US official-speak were painfully on display in the vindictive, petty and incoherent American response to the vote (see video below, with brilliant grilling by AP’s Matthew Lee of hapless DoS spokeswoman Victoria Nuland) which ought to become required reading/viewing for anyone trying to understand the destructive role the US has played, for decades, in preventing a just peace in the Middle East (Transcript below). MS. NULAND: All right, everybody. Happy Halloween. I do have a statement at the top before we get started with regard to the Palestinian admission to UNESCO. Today’s vote by the member states of UNESCO to admit Palestine as a member is regrettable, premature, and undermines our shared goal of a comprehensive, just, and lasting peace in the Middle East. The United States remains steadfast in its support for the establishment of an independent and sovereign Palestinian state. But such a state can only be realized through direct negotiations between the Israelis and the Palestinians. The United States also remains strongly committed to robust multilateral engagement across the UN system. 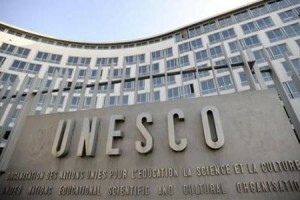 However, Palestinian membership as a state in UNESCO triggers longstanding legislative restrictions which will compel the United States to refrain from making contributions to UNESCO. U.S. engagement with UNESCO serves a wide-range of our national interests on education, science, culture, and communications issues. The United States will maintain its membership in and commitment to UNESCO, and we will consult with Congress to ensure that U.S. interests and influence are preserved. Now let’s go to your questions. QUESTION: Sorry, I just – does that mean that you have stopped, effectively today, contributing to UNESCO? MS. NULAND: It does. We were to have made a $60 million payment to UNESCO in November and we will not be making that payment. QUESTION: Right. Sorry. Sixty million? QUESTION: And that was – and that is what — a part of a tranche of the total of 80? QUESTION: All right. So, this was not particularly a banner day for U.S. diplomacy. If you count the abstentions, you had — 159 countries did not vote the way you did. Only 13 did. That would seem to suggest that these countries don’t agree with you that this is such a big problem. Those countries included the French – France. They included numerous members of the Security Council. What happens to them now that you’re punishing UNESCO? What happens to these countries that voted to, in this regrettable way that is going to undermine the peace process? MS. NULAND: Well, those countries obviously made their own national decisions on this vote. We disagree with them. We made clear that we disagreed with them before the vote. We make clear that we disagree with them after the vote. We also make clear here today that we want to continue our relationship with UNESCO. But as we said before this vote, and as we have had to say today, legislative restrictions compel us to withhold our funding now. And that will have an impact on UNESCO. QUESTION: But going back to – you said in your opening you said that this was regrettable, premature, and undermines our shared goal. Who’s shared goal? Who shares this goal, other than the 13 other countries that voted with you, now? QUESTION: Why would the possibly do something – how could they possibly do something that you say is so horrible and detrimental to that process? How can they – how can you still count them – count on them as sharing this goal? MS. NULAND: You’ll have to speak to them about why they made the decision that they made. We considered that this was, as I said, regrettable, premature, and undermines the prospect of getting where we want to go. And that’s what we’re concerned about. QUESTION: Okay and then how does it undermine, exactly? How does it undermine the prospect of where you want to go? MS. NULAND: The concern is that it creates tensions when all of us should be concerting our efforts to get the parties back to the table. QUESTION: The only tensions that it creates – the only thing it does is it upsets Israel and it triggers this law that will require you to stop funding UNESCO. Is there anything else? There’s nothing that changes on the ground is there? MS. NULAND: Our concern is that this could exacerbate the environment which we’re trying to work through so that the parties will get back to the table. QUESTION: How exactly does it exacerbate the environment if it changes nothing on the ground, unlike say, construction of settlements? It changes nothing on the ground. It gives Palestine membership in UNESCO, which is a body that the U.S. didn’t — was so unconcerned about for many years that it just wasn’t even a member. QUESTION: Well, actually, it was the last Administration that rejoined UNESCO, not this one. But the – I need to have some kind of clarity on how this undermines the peace process other than the fact that it upsets Israel. MS. NULAND: Again, we are trying to get both of these parties back to the table. That’s what we’ve been doing all along. That was the basis for the President’s speech in May, basis of the diplomacy that the Quartet did through the summer, the basis of the statement that the Quartet came out with in September. So, in that context, we have been trying to improve the relationship between these parties, improve the environment between them, and we are concerned that we exacerbate tensions with this, and it makes it harder to get the parties back to the table. QUESTION: Since the talks broke off last September until today, how many times have they met together with all your effort? MS. NULAND: How many times have the parties met? MS. NULAND: I think you know the answer to that question. QUESTION: So how can things get worse than they already are? MS. NULAND: Matt, I think you’re engaged in a polemic here rather than questions. The full briefing (40min) can be watched below, the rest of the transcript continues underneath it. QUESTION: You think you’re going to get better from the next person? MS. NULAND: Go ahead, Said. QUESTION: Yes, Victoria. On the shared values, does that mean that hundred and seven countries, you do not share values with? MS. NULAND: A hundred and seven countries made their own decision on this vote. MS. NULAND: We disagree with that vote, and we disagree with the implications, and we are concerned about the implications not only for the environment in which we are trying to get these parties back to the table, but also we’re concerned about the implications for UNESCO, which is an organization that we support. QUESTION: Okay. Could you also explain to us how, when you cut off funds to UNESCO, which is 22 percent of their budget, almost $80 million, how will your membership – what kind of effect – or what kind of membership will you have with the organization? MS. NULAND: Well, we want to continue working with UNESCO, because we believe that UNESCO advances U.S. interests, advances U.S. values, a whole list of programs that UNESCO is responsible for that we support, including literacy training for Afghan police and army cadets, tsunami early warning, nurturing and protecting journalists across the Middle East and Africa, conducting large-scale teacher training efforts throughout Africa. So we want to continue to work with UNESCO, including remaining on UNESCO’s executive board, and we will continue our efforts to try to win reelection to UNESCO’s governing board. But we are not going to be able to continue contributing to the budget, and under UNESCO’s rules, if this continues for some two years, there could be implications for our membership status. QUESTION: And finally, do you have any plans to dissuade the Palestinians from replicating what they have done with UNESCO with other UN agencies? MS. NULAND: Well, we’re certainly making the point directly to the Palestinians and to the voting members of other organizations that we don’t see any benefit and we see considerable potential damage if this move is replicated in other UN organizations. QUESTION: And you said if this situation continues for two years then it could have implications for membership. Does that mean that if the U.S. doesn’t fund UNESCO for two years then it gets essentially chopped out of the organization? Is that what happens? MS. NULAND: Well, it could have implications for our voting rights. Under UNESCO’s constitution, a member state will have no vote in the general conference if it gets more than two years in arrears in its contribution. So our actual arrearage status will begin in January. QUESTION: Okay. And there’ve been comments that you’re hoping to work with Congress to figure out how the U.S. can remain involved in UNESCO’s activities. Do you have a road map for how this can happen, given that the vote has already taken place? I mean, is there another route by which you can circumvent this restriction, or are you hoping that UNESCO will somehow take the vote back? How can you possibly say that you’re going to continue to be involved with them if this funding ban remains in place? MS. NULAND: Well, I think what we were talking about is that we now need to have consultations with Congress. We will have those consultations to identify how best we can move forward. As I’ve said, not paying our dues into these organizations could severely restrict and reduce our ability to influence them, our ability to act within them. And we think this affects U.S. interests, so we need to have conversations with Congress about what options might be available to protect our interests. But I don’t want to get ahead of where those conversations might take us. QUESTION: But that – can you say that you have identified options that would allow you to protect U.S. interests that you’re going to present to Congress? MS. NULAND: Well, I think we’ll need to have those conversations with the Congress before we start talking publicly about what the options might be. QUESTION: Toria, I mean, you could explain this as the U.S. becomes a deadbeat at UNESCO; it’s there but it’s not paying its dues. And others say that this overall undermines the influence of the United States. What do you say to that? MS. NULAND: I think we’re concerned about it. We are very concerned about it, which is why we didn’t want it to happen in this first place and why we’re concerned about this move being replicated in other UN agencies. And why are we concerned about it? We’re concerned about it because UNESCO does things that are valuable to the United States, that represent the best of our values, and that do help advance U.S. interests along the lines that I discussed earlier. So we are concerned about it. QUESTION: So you don’t agree with the Congress then that passed that rule? QUESTION: As you recall, and as we discussed last week, Secretary Clinton in public on – or in an interview in October said that if this were to cascade to other UN agencies it could harm U.S. interests and that, therefore, she had already begun talking to members of Congress about flexibility that would allow the United States to potentially still participate in organizations like the IAEA or the WHO or FAO, were they to admit the Palestinians. When you – in answer to Andy’s question and the other questions about your talks with Congress about where you go next, since the Secretary has already broached this subject, is what you plan to talk to Congress about is some way that the United States could continue funding UNESCO, either by amending the original law or creating waiver authority, finding some kind of a legislative solution that would allow the U.S. Government to continue funding UNESCO, or is that not what you’re talking about here? MS. NULAND: I think there are a number of ways that this could go, and we need to have those conversations with Congress and see what the Congress might be prepared to support. But I don’t want to get ahead of those conversations. QUESTION: But – I get that, but the Secretary, three weeks ago, already addressed this, and her comments were public and they were on your website, so I think it’s not unreasonable to ask is that what you’re talking about, getting flexibility so you can keep funding UNESCO? MS. NULAND: Well, it’s certainly one of the options that we will discuss. QUESTION: — to follow up on both Andy and Arshad’s point about Congress, the Secretary was before House Foreign Relations last week. Did she have any opportunity to personally press the chairwoman, Ileana Ros-Lehtinen about this funding issue? Because Ros-Lehtinen has come out and said that she not only supports these restrictions but that she wants to actually toughen them, if that’s even possible on – in order to punish the Palestinians for pursuing this. What kind of outreach has the Secretary conducted in order to try to deal with this? And then I have a follow-up. MS. NULAND: Well, Ros, she’s spoken to a number of members of Congress herself. She’s also organized the team to speak to members of Congress about what options we may have here. But again, we have to work with Congress because these are legislative constraints, and so if we’re going to move forward in a legislative way, we have to gain their support. QUESTION: And then in terms of the impact on related organizations, several high-tech and pharmaceutical firms are said to be meeting here at State this afternoon to discuss how the lack of financial support from the U.S. might have an impact on their ability to work in the countries where UNESCO and the WINO have their work being conducted. What more can you tell us about this meeting? How does this affect the Apples, the Googles, the pharmas of the world, when they’re looking at potentially being shut out of potentially lucrative markets? MS. NULAND: Well, Ros, I think you’re referring to the meeting that Assistant Secretary for International Organizations Esther Brimmer is having today with representatives from some of the U.S. majors around the world to explain what the implications of this vote might be for U.S. business abroad. But my understanding is Assistant Secretary Brimmer is particularly going to call their attention to the potential that the Palestinians may now gain admission to the World Intellectual Property Organization. So – and that might have some implications for our ability to work in that organization. And of course, that’s a very important organization for companies, like the high-tech list that you cited. QUESTION: Well, then, what do you do – then what is the U.S. Government then telling these companies, which have been extremely concerned about intellectual piracy, dummy drugs, dummy consumer products? Does – is U.S. business being unfairly impacted because of this legislative restriction, and how can the U.S. Government try to resolve it? Or rather, the Executive Branch, how can it resolve it so that the business community isn’t unduly upset by all this? MS. NULAND: Well, obviously, she wants to make sure that these companies understand the implications of what has already happened, but also with regard to the intellectual property organization, WIPO, she wants to make sure that companies understand that Palestinian membership in WIPO could trigger – would trigger similar funding restrictions and could diminish U.S. influence in an organization that’s very important to these companies. So we need to make sure that our companies understand the implications of what’s happened and begin that conversation with them. QUESTION: Would it be fair to suggest that perhaps, with this meeting, the State Department is hoping to induce these companies to lobby for a change, an easing of these restrictions on UNESCO funding? MS. NULAND: I think the stage that we are at is to make sure that our companies understand what may or may not be happening in this circumstance so that we can open a conversation about how we protect their interests going forward. QUESTION: Quick follow – yeah, a quick follow-up on Congress. Representative Kay Granger, chairperson of the subcommittee, said that not only will we cut funding to UNESCO but the other areas in the United Nations. Do you know what she’s talking about? What other cutoffs and so on in the offering as a result of that? MS. NULAND: Well, obviously, I would refer you back to the congresswoman for clarification on her statement. I could – she may either have been talking about the World Intellectual Property Organization or she may have been talking about what will happen if this UN agency process cascades. QUESTION: Back on the WIPO, actually, I was just wondering if you’d go a little bit further and explain to us what she’s telling the companies would be the effect of the reduced U.S. funding or an eliminated U.S. funding in WIPO. Does that – what would that – what effect would that practically have on U.S. companies operating overseas? Would it make the whole mechanism less efficient or would it reduce the protection for U.S. companies? What is the threat there to U.S. companies? MS. NULAND: Andy, let me see if I can get a little bit more for you on the specifics of the message being given, but certainly to make clear that if there’s an application to WIPO then – and the Palestinians become WIPO members, that it will trigger the same kind of funding cutoff, so already the organization will have less money to work with, but also that it could diminish our influence within WIPO, which has been very important to these companies. QUESTION: Quite apart from the congressional lot, you’re opposed to the Palestinians having membership in the World Intellectual Property Organization? QUESTION: Because the Palestinians don’t have any intellectual property, or because their intellectual property, because they’re not a state, is somehow less protectable or less worthy of protection? QUESTION: What does protecting intellectual property have to do – anything to do with statehood? MS. NULAND: It has to do with the declaration of state status in UNESCO, which cascades into WIPO, that we are opposed to. QUESTION: I used to think that this government, my government, had some intellect itself, but this just seems ridiculous. You are going to oppose them in some kind of international weather organization as well? The Civil Aviation Organization? MS. NULAND: Our position on this with regard to all the UN agencies is the same. QUESTION: You can – you think that there is somewhere – somewhere in this building that someone can draw a intellectually responsible and acceptable argument that membership in the World Intellectual Property Organization should not be granted to the Palestinians because they are not a state, because their intellectual property, because they’re not a state, is somehow less deserving of protection than anyone else’s, including the Syrians, including whoever else? MS. NULAND: Can I finish my point, please? MS. NULAND: Thank you. Rather than establishing true statehood the way it has to be done, which is in direct negotiations with their neighbor. And from that can flow all of the benefits of these organizations. QUESTION: They know that this is not – this does not mean statehood. MS. NULAND: What has been granted here in UNESCO is Palestinian membership and statehood status. That’s what’s of concern. QUESTION: I’m sorry, and the Palestinian vote on that? QUESTION: The Palestinians didn’t vote for this. A hundred and seven other countries, including some of your best friends, voted for this. The Palestinians didn’t vote for it; they just simply put it up for – they put it up for a vote. They didn’t have a vote on this. MS. NULAND: Are you asking me a question that you’d like me to answer, or are you just going to have an argument with me today? QUESTION: No, no. I’m – I want to know why you think, and everyone else – which is a position that everyone else disagrees with, that this is somehow – that this hurts the peace process or hurts the ability of the Palestinians to get a state, short of just upsetting the Israelis? MS. NULAND: Start with the premise this process in UNESCO began with a Palestinian petition for membership, which we thought was ill-advised and ill-considered, and which we so said to the Palestinians at the time. So the Palestinians made a move here that we didn’t think was conducive to the environment for the talks or conducive to getting us back to the table. That is our concern. We want to get the Palestinians their state. It’s only going to happen if we can get these parties back to the table. We have to create an environment that gets them back to the table, and this is not helpful. QUESTION: Okay. But you accept that 107 countries disagreed with you. MS. NULAND: A hundred and seven countries made their own decision. We disagree with them. QUESTION: Right. Exactly. So, I mean, isn’t it maybe – doesn’t that tell you anything, that if you add in the abstentions, which included the Brits, your special ally, who abstained, then 159 countries disagreed with you? MS. NULAND: It tells us that we are not any closer to a Palestinian state by virtue of this vote today. We are trying to get to that end state that we want, that the Palestinians want, and we don’t think this is helpful. QUESTION: I’m just curious. Did the Secretary have any personal diplomacy on this subject? Did she make any calls to Brits, French, whoever, in recent days specifically regarding this UNESCO vote? MS. NULAND: The Secretary has been making the case personally against this move in the UN agencies for weeks and weeks and weeks, and she had many, many conversations about this, particularly when we were in New York. QUESTION: Do you have any update on your efforts to bring both parties to the table? And what about the meetings that – or the meeting that Under Secretary – Deputy Secretary Nides had today with Tony Blair? MS. NULAND: I don’t have anything for you on the Tony Blair meeting. If we have anything to report, we’ll get it to you tomorrow. I think you know where we are, that we had – Quartet had separate meetings with the parties last week. We have encouraged both parties now to go back and start working on concrete proposals for each other on land and on security. We will be working in Quartet format with each of the parties, and our aspiration still is to have them present real, meaty proposals to each other within the 90-day time clock from when this meeting happened last week. QUESTION: Has the UNESCO vote changed or quickened the pace of lobbying at the UN mission in New York to prevent a vote for statehood in the GA? MS. NULAND: I think the UNSC process is moving apace. They are still at the stage of analyzing the request, gathering information, et cetera. QUESTION: Toria, today marks a milestone: It’s the 20th anniversary of the Madrid process, the Madrid peace conference, begun exactly 20 years ago. And during that time, there was a great deal of intense negotiations and some stoppages and so on and other processes and many agreements, yet the settlements have gone on throughout all this time, although the United States position was expressed very clearly at the time that settlements must stop, yet they go on. Do you have a position today reflecting on all the settlement processes over the past 20 years? MS. NULAND: Well, let me first say that we’ve also been working for peace for 20 years, and it remains a challenge. But our position on settlements hasn’t changed, and we continue to make it. Anything else on this subject, or can we move on? QUESTION: So what – if we just take it just a bit further, what incentive should the Palestinians have today when they see that a great deal of the land initially allocated for their state has been gobbled up by settlement? What incentive should they have to go back to negotiations? MS. NULAND: I think the Secretary has said this best when she said that only when borders are settled is it going to be absolutely clear where they are. So if you want all of this to be settled, you have to go back to the negotiating table and you have to, before that, present your own proposals on land and security. So that’s what we’re asking the Palestinians to do. If they are concerned, as we are, by what is going on, then come back to the table and let’s get firm borders. QUESTION: Okay. So why wouldn’t the United States then take the initiative and call for a peace conference to actually discuss the borders of the Palestinian state, period? MS. NULAND: Because we don’t think, and our Quartet partners don’t think, and frankly, the parties don’t think, that having a big conference is going to get us any closer. We think that the next step ought to be concrete proposals by each side on borders and on security. This will give the Palestinians an opportunity to present to the Israelis and for the Israelis to present to the Palestinians what they think the right answer are that will allow us to see how close we are, allow us to see how we can move the process forward. That’s the right way to get closer to a state and secure borders. QUESTION: Sticking to this 90-day process that was worked out last week for both sides to come up with proposals? QUESTION: Just on the cascade effect, if it does happen, presumably the votes will be similar to the one in UNESCO, because you are in a distinct minority in pretty much every UN group in which you don’t have a veto – although you’re in a minority there as well – you seem to be admitting that the Palestinians have you over a barrel here. They can, if they continue to go to these various agencies, force the United States to withdraw into almost a shell by – maybe not immediately, but if you get kicked out of UNESCO for having not paid your dues in two years. I expect that the other organizations have similar rules, and so you will have shrunk your international outreach, correct? MS. NULAND: I’m not going to get too far down the tracks here. We are trying to make clear what the implications for us, what the implications for these organizations, are of the move that the Palestinians started here. And we are hoping that this will end here and we can get back to the peace talks, because that is the place where we’re going to be able to achieve the aspirations of the Palestinian people. I mean, one of the things that’s most distressing about all of this is that not a single thing changes on the ground for a single Palestinian; life does not get better, as a result of what’s happened in UNESCO. And that’s been our concern from the beginning. If you care about quality of life for Palestinians and their having their own state, this is not the way to go. QUESTION: Well, I didn’t want to get back into this, but the whole fact that nothing changes on the ground is exactly the argument that people make for saying this is not such a big deal and bad deal. But I want to get back to this. The Palestinians seem to have acted shrewdly here, no? MS. NULAND: We disagree. We disagree. MS. NULAND: Because it doesn’t get them any closer to the state that they want, that they need, that they deserve. And it does exacerbate tensions in the region, which makes it harder to get back to the table. And it certainly doesn’t help our ability to help them through UNESCO, which does support cultural heritage sites in the Palestinian territories and throughout the Middle East. So we think it’s a mistake. Other – can we move on? Moving on, please. QUESTION: Turkey. On Friday, the Pentagon announced that they were providing some humanitarian aid for the earthquake. They said – the spokesman said they were doing so in coordination with the State Department, and I wanted to know what State is doing, also what the Turkish Government has asked for. MS. NULAND: Well, first of all, the Turkish Government has put out a general appeal for assistance. So in that context, in the first instance – we talked about this last week – we have provided $300,000 in humanitarian assistance through the Turkish Red Crescent and other Turkish aid authorities. The Pentagon is also providing certain excess equipment in the humanitarian categories. For example, some winterized tents have gone. I actually don’t have the full list here in front of me, but it’s things like tents, medical supplies, other things that one traditionally needs as winter comes in an earthquake environment. And these are coming from European Command. QUESTION: Is USAID providing anything as well or sending a team or anything? MS. NULAND: USAID is working with the Turkish Red Crescent and other NGOs to ensure that the 300,000 that we are providing is being used for the – to the best advantage. QUESTION: On Syria, President Asad has said yesterday, or has warned, that foreign intervention in his country would cause an earthquake that would burn the whole region. Do you have any reaction to that? MS. NULAND: Well, my first reaction would be to say that President Asad, if he cared about the future of his country, would take the steps that we’ve been calling for. He would step aside so that a true democratic dialogue could begin. But even before that, he would withdraw his heavy weapons from cities and towns across Syria which are intimidating people. He would stop arresting, beating, keeping up – keeping locked up and torturing peaceful protestors. And he would allow a true dialogue to begin. That’s what the Arab League has called for. That’s what we have repeatedly called for. And as we’ve said repeatedly, nobody wants to further militarize the situation in Syria. On the contrary, we want the violence to end. We want a true dialogue about a nonsectarian, democratic, peaceful future for Syria to begin. And it is Asad himself who is standing in the way of that. It is Asad himself who is not listening to the Arab League or anybody in the neighborhood who is a – who sees what’s going on. And all of us abhor the violence. So he needs to get on the side of his people. QUESTION: Do you support the Arab League’s proposal to Syria? MS. NULAND: Well, certainly were Asad to listen to the Arab League and take the steps that they have asked for, including immediate withdrawal of weaponry from the cities, an immediate end to the tortures, to the arrests, to the abuses, and immediate access to Syria for international monitors, including from the Arab League itself, the situation would improve. He seems unwilling to do that. From our perspective, that would be a first step. We obviously also want to see a real democratic dialogue begin and we want to see Asad step aside. QUESTION: Is the United States taking any special measures, as this was an especially violent and bloody weekend this past weekend? Are there any special measures that you are taking or initiatives that you are taking in coordination with other countries, especially China and Russia? MS. NULAND: Well, it certainly was, as you said, Said, a very bloody weekend. By our count, at least 70 civilians were killed in Syria between October 28th and October 30th by Syrian security forces. We are continuing to make our case in every interaction we have, both with our UN Security Council partners but also with countries in the region and our allies around the world, that we’ve got to continue to increase the pressure on the Asad regime, the political pressure but also the economic pressure. And no country should be selling weapons to this regime. No country should be aiding and abetting the regime by trading with it. QUESTION: There are also allegations that many of the killings have occurred also by – carried out by opponents, armed opponents of the regime. Do you concur or do you have any information on that? MS. NULAND: Our view of this, our analysis, is that the vast, vast, vast majority of the violence in Syria is propagated today at the hands of the regime. And to the degree that you have some acts of violence on the other side, it is the Asad regime’s unremitting, unrelenting violence of its own that is causing some reaction. QUESTION: Do you foresee – I’m sorry. Could you foresee a scenario where the allegation that 10,000 Syrian soldiers have defected – would you foresee a scenario where these would have, like, a safe haven in the north, aided and supported and protected by Turkey and perhaps the United States? MS. NULAND: Again, Said, where we are today, the vast majority of the Syrian opposition are saying that they don’t want this situation further militarized, that they don’t want foreign intervention. What they want is for the Asad regime’s violence to stop so dialogue can begin. MS. NULAND: Yeah. Anything else on Syria? QUESTION: One more. Is there any specific date for Ambassador Ford to go back to Syria? MS. NULAND: We’ve spoken about this before. He has bought his Thanksgiving turkey for his staff in Syria. He would like to be back in time to have Thanksgiving dinner in Damascus. QUESTION: Moving to Afghanistan, the Kabul attack over the weekend – and I was wondering if you had any further information on that. There’s been a lot of speculation that there’s some Haqqani link to it, although nobody seems to have nailed that down. I’m wondering if you have any thoughts on that and if you’ve had any communication with Pakistan on intelligence regarding Haqqani movements and so on, either related to that attack or other? MS. NULAND: I don’t have anything particularly new. I think you know that ISAF and Afghan authorities are conducting an investigation, so I think we need to let that go forward and not get ahead of that. QUESTION: There’s been reports that the South Korean unification minister is going to be here this week. Is he meeting anyone at State Department? MS. NULAND: I do have those reports that he’s here. I don’t have a list of his meetings. Why don’t we take that for you? We’ll get back to you. Thanks. Anything else in the back? MS. NULAND: Yeah. That first baby of the 7 billion was born. QUESTION: — has peoples worrying about the poverty and food shortage, something like that, environment. So what U.S. Government can do that – for that issues or – so what do you think about it? What is your comment for that? MS. NULAND: Well, I think you know that we have extensive programs all around the world that are designed to mitigate the effects of environmental damage, to support water programs, and water sharing, to support health programs, to support population programs around the world both through UN organizations and through our bilateral programs with countries around the world. So those will obviously continue. QUESTION: I have one I submitted over the weekend and I’m still interested in. With all the talk of Saif al-Islam potentially being in Niger, there have been reports, which Niger officials have confirmed that there’s a U.S. team in Agadez — a U.S. military plane, unknown U.S. personnel. I’m just wondering if you can tell us who was there and what they were doing. MS. NULAND: Yeah, thanks for that and I’m sorry we weren’t able to get back to you over the weekend. We did have a U.S. military plane in Agadez last week. It was carrying a small team of U.S. military personnel who met with local military leaders and units. This is part of our conversation about potential military-to-military partnership, and the visit was unrelated to the case of Saif Qadhafi. MS. NULAND: Yeah. It was a previously planned, routine visit at the invitation of the Nigerian Government and it’s part of our effort to enhance our partnership with Niger in the area of security capability. I think you know that in April of this year we were able to lift previously held sanctions and restrictions on Niger so we are now moving into the category of trying to figure out what we can do together military to military. As we’ve talked about, they have a long, uncontrolled border and other things. QUESTION: And that they’ve left now? MS. NULAND: They’ve left now. Yes. Yes. The team is gone. QUESTION: Were you asked last weekend if you were – did you have an answer to the question about the Georgians agreeing to a Swiss proposal on Russian WTO ownership? QUESTION: Someone may have on background, I’m not sure who it was. MS. NULAND: That’s true. I guess we did talk about it on background on Friday. So I think you know we’ve been supportive of the Swiss effort to negotiate a solution between Russia and Georgia, two customs and border issues that arise in the context of Russia’s desire to have Georgia’s support for its WTO membership. We obviously support Russia’s membership in WTO. Our understanding is that the talks are going quite well. We’re encouraged by the progress; they’re not finished yet, however. The Georgians have accepted the Swiss proposal, the Russians are studying it, we’re working through some of the remaining issues – or the Swiss are – and we remain hopeful that this will be a good avenue for resolving the outstanding issues. Good. Anything else? Said, one last one. QUESTION: Yeah. One last thing on Saif al-Islam, following up on Andy’s question. If he were to sort of turn himself in, would he have to go, let’s say, to any particular embassy, like the American Embassy or the French Embassy? What is the proper protocol in this case? MS. NULAND: Well there are many ways this can go. As you know when the ICC has a warrant out for somebody, the options are either for ICC justice or for the host nation to make the case to the international community that it can pursue justice for these individuals to a standard that meets international standards. So either of those options would be on the table. He could turn himself in to the authorities of the country where he may be, to the TNC, to an embassy, et cetera.